Nestled along the South Gippsland Highway, south of Pakenham and Kooweerup, lies a truly unique experience. Caldermeade Farm is an operational commercial dairy farm. It was settled in 1875 as a premier beef cattle property. Now it offers the opportunity for families to come and have a real country experience. There are a few sheds that are home to adorable goats, cows, chickens and bunnies. Horses are scattered throughout the fields. In the middle of the farm is a large playground and old tractor. At the back of the farm is a cafe that has indoor and outdoor seating. The cafe menu offers traditional country fare; big breakfasts, homemade pies, Devonshire tea and is also fully licensed. Then there is the milking of the cows. Seeing 400 cows lining up in a row is definitely not a sight you see every day! You get to have a good view upstairs above the milking station, with floor to ceiling glass windows to look out of. The whole farm is an amazing experience, without having to pay a cent! 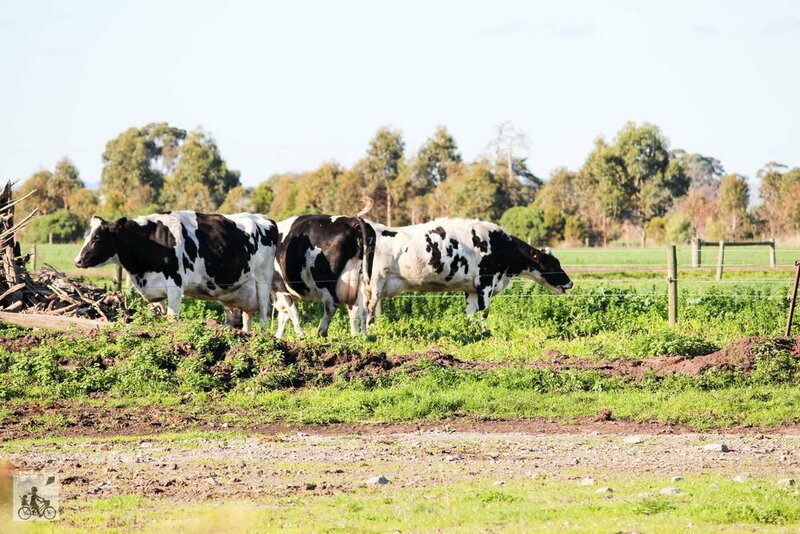 Mamma's special mention: Mamma strongly advises to make sure you and your children wear gumboots or shoes you don't mind getting dirty - as the cows roam freely overnight, even through the playground. 400 cows make a lot of mess!